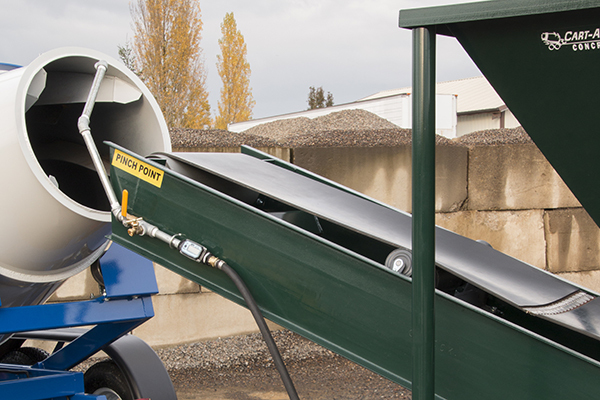 Cart-Away has designed a simple solution for concrete batching in smaller quantities. 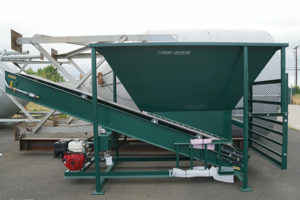 The LoadPro is a 2-yard material batch plant specifically designed for loading Cart-Away mixer trailers. This batching system is perfect for smaller start-up ready-mix businesses. It is very portable and you can start making concrete the same day it is unloaded from the truck. Use the LoadPro for projects where small quantities of concrete are needed at different locations around the project. The LoadPro can be placed anywhere on a level spot and can feed any number of trailers with a concrete mix. Once loaded the trailers mix the concrete as they are pulled around to various sites. With a LoadPro and trailer, a contractor can supply batches of fresh, well-mixed concrete to different locations all over a worksite. A landscape or rental yard can sell concrete to its customers and make a great profit using the LoadPro to fill the mixing trailers. Either way, you can tow concrete to a worksite at a cost far less than what ready-mix companies charge. 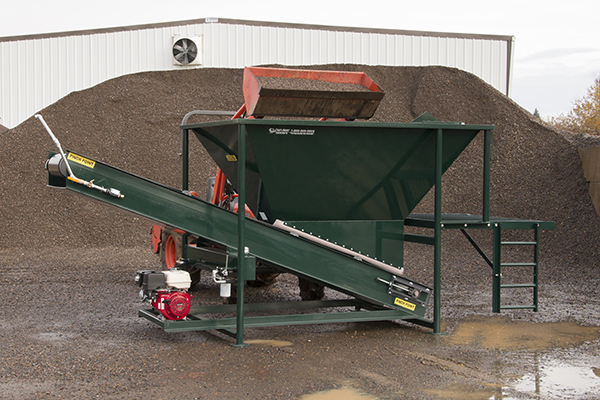 The low volume batching capabilities and scale of the LoadPro are well suited for rental yards or landscape material yards that want to sell ready-mixed concrete to their customers but are restricted by space or zoning. This LoadPro will allow building related business owners the opportunity for another significant profit center with great retail margins. The LoadPro is a volumetric batching unit that can be loaded by a skid-steer or small tractor and operates using a Honda gasoline engine and hydraulic pump. The 2-yard material hopper and the high-speed loading conveyor allow mixing trailers to be quickly batched and sent off to with the customers. The conveyor belt height is positioned correctly to load the batches of raw concrete mix directly into the drum of the mixer trailer. This small concrete plant comes with a digital water meter for accurate water batching. The water is fed into the system using a standard garden hose. 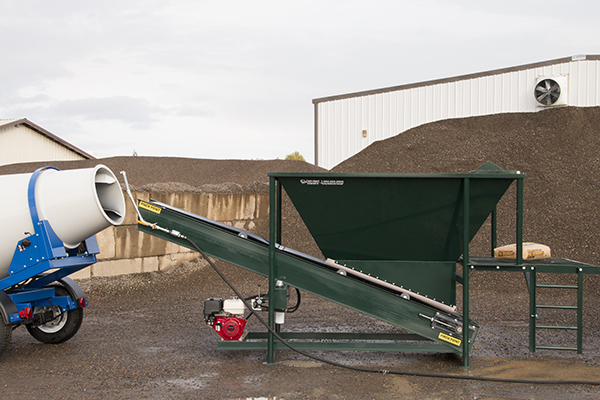 Each small batch plant comes with an operator platform and a simple cement bag breaker. Cart-Away’s small concrete batching systems are a perfect combination of simplicity and efficiency. For more details on how this small batch plant can help you make more money with concrete, please call our team of concrete experts at 888-648-5464. Note: Due to the success of the combination of the LoadPro small concrete batcher and the Cart-Away mixer trailer, we have designed a couple of combination loader/mixers. These combination units create portable concrete batch plants -If you need this all-in-one solution, explore the C.U.B.E. or the TopLoader option. The perfect loading system for your towable concrete mixer. Cart-Away can build you a dependable and efficient concrete loading machine.